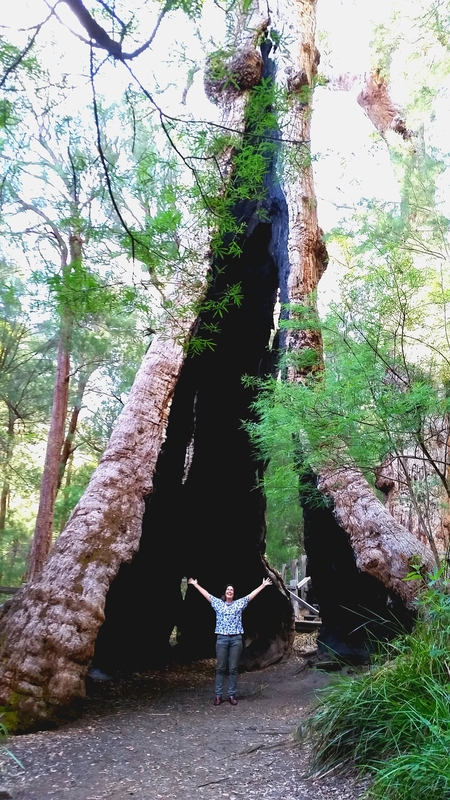 Denmark the town – not the country – Craft-a-licious . .
Nestled among the giant Tingle trees, green rolling hills, granite boulders and clear waters of the Southern Ocean, lies the town of Denmark, on the southern coast of Western Australia. If you happen to be as craft obsessed as me – it is heaven. For a population of around 6,000 – this town offers an array of crafts usually only found in much, much larger townships. Yay for me!!! We stayed at Air Sailean, a farm stay with on site accommodation where Gail, the owner, also happens to own the local craft shop. If you feel the urge for some tuition while staying there – just see Gail! 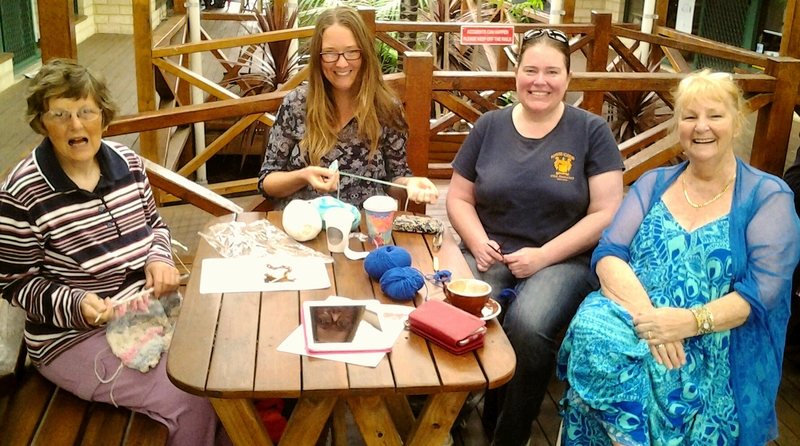 Sit outside Gail’s craft shop in Denmark on a Saturday morning, and you may well be lucky enough to have a knit, natter and cuppaccino with some of the local ladies. By lunch-time you will know the best places for sightseeing, eating and making things – and made a few new friends. Donna, Mel, Maureen and Margaret – keen yarnsters! A couple of days later I spent some time with a life-long textile artist, crafter, teacher and fellow cuppaccino-ist Margaret Leyland, whose love of colour shows in her own vibrant personality and the many items she makes. A generous contributor to the skill set of those crafty makers in the Denmark area. If you are traveling here – make sure you join the Saturday morning impromptu knitters/crocheters outside the Craft Shop and say hello to Margaret and the other ladies gathered there. Later that week the quilters/felters/knitters group met at the surf life saving club – where the view is phenomenal, to say the least, and the company of fellow like-minded makers was equally inspiring. The one thing in particular that did strike me with Denmark’s makers was their sense of giving back to the community and others who had struck a pothole (or deeper) on their life’s journey. 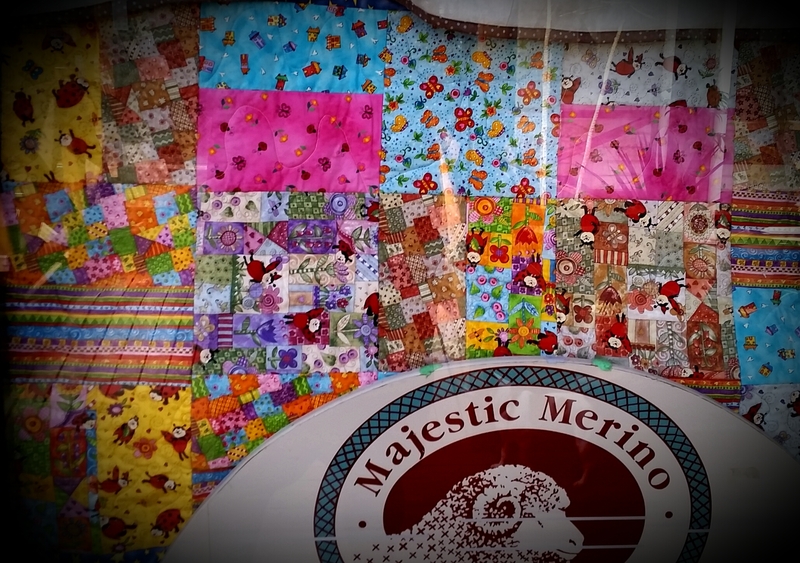 Many quilts are donated to hospitals and those in need – as when homes/lives are destroyed by bushfire, or ‘trauma dolls’ – given to those, especially children, encountering deep distress in their young lives. All created with love and care by Denmark’s makers. Inbetween all my meeting, talking, eating and sightseeing I managed to finish a few kokeshi/kimmidoll-inspired crocheted dolls, which I did in 8ply, 4ply and embroidery cotton for the smallest one. I’m quite happy with how they turned out – they were a satisfying ‘inbetweener’ project I actually accomplished. Hmmm, with the cooler weather approaching, it’s back to work on finishing my knitted gloves … or at least one of them. It certainly is – I’m sure you’d really like it if you visited! Certainly is a wonderful place, such a shame we couldn’t make the trip. Love the very cute little dollies. Thanks Sandra! Yes, it’s indeed a very pretty place – one I’m sure you and James would really enjoy. Perhaps next year? You would totally love it if you came!! Apparently the craft market here in a couple of weeks is well worthwhile visiting .. perhaps a little sojourn to WA would be good for your creative soul! Yo Cath – please stub out your Peter Stuyvesant before you approach your next Tingle tree ok. It’s just good manners 😁 not to burn out the local flora.. Reach out n touch my email tentacle so we can coordinate our meet-up ordinate. Coz it’s SOON yay! FG you ALWAYS make me laugh!! Actually it is so very wet in this part of the country it’s amazingly unfortunate the poor Tingle got burnt out!